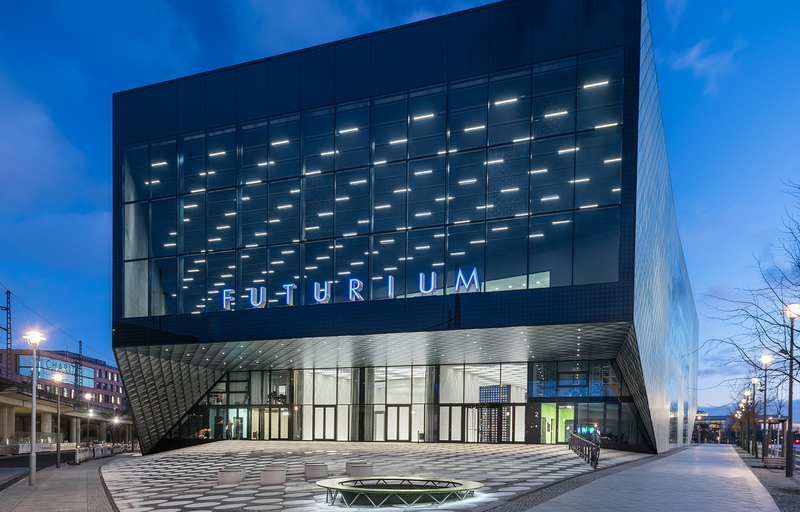 Light and architecture come together in the design of the Futurium, a modern exposition hall in Berlin. The facade is covered with over 8000 diamonds that shimmer in the sun. 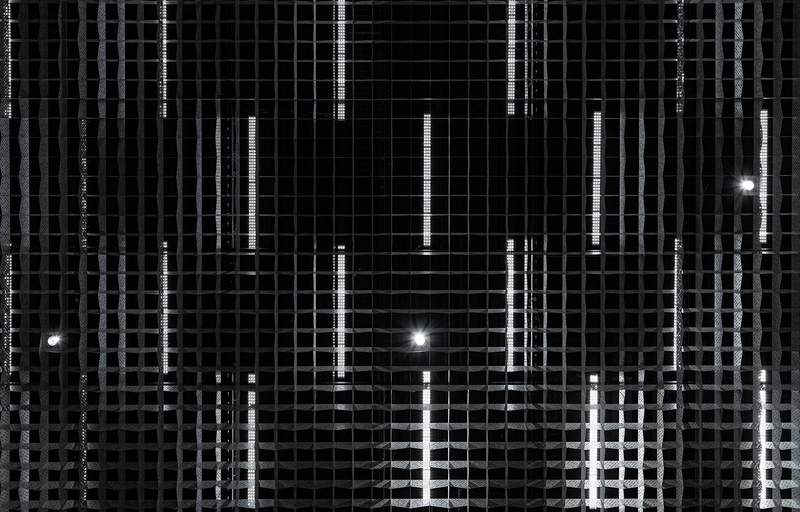 The diamonds consist of a translucent screen-printed textured glass surface and a folded metal reflector on the back. 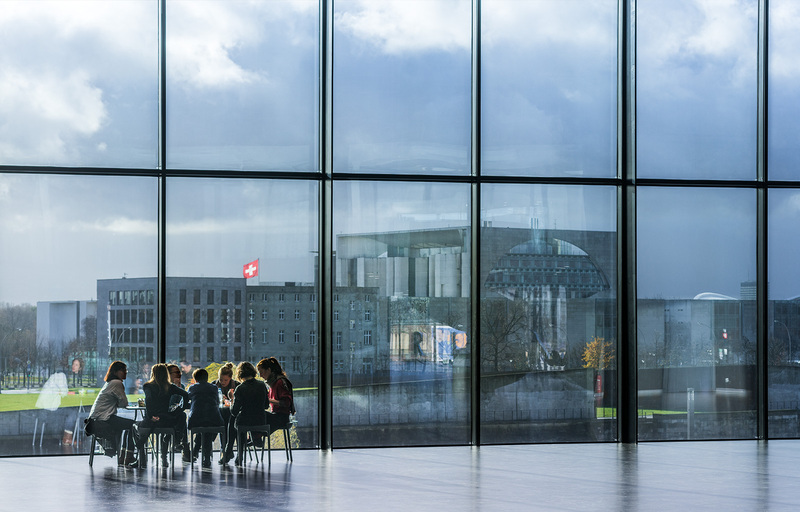 It is a building with a hundred faces: whenever the outside lighting conditions change, be it sunny, cloudy, morning, evening or night, the textured diamonds make sure the facade looks different every time. Inside, light also plays an integral role in the design. 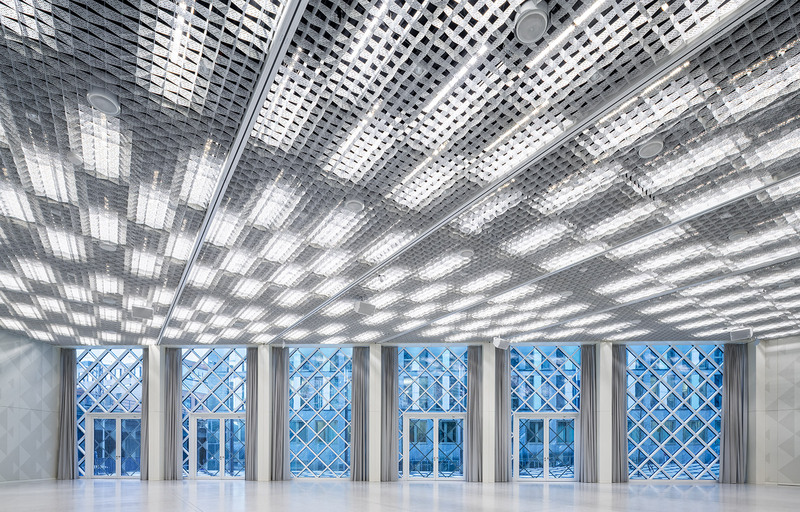 Hundreds of lined LED luminaires are hidden behind a massive curtain of fluted metal that covers the ceiling of the ground floor. 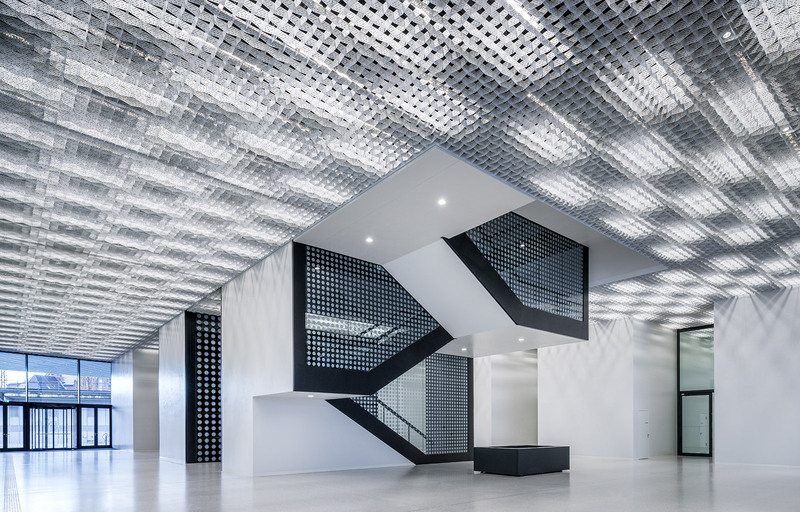 The ceiling is turned into a gigantic screen that can show dynamic light patterns. 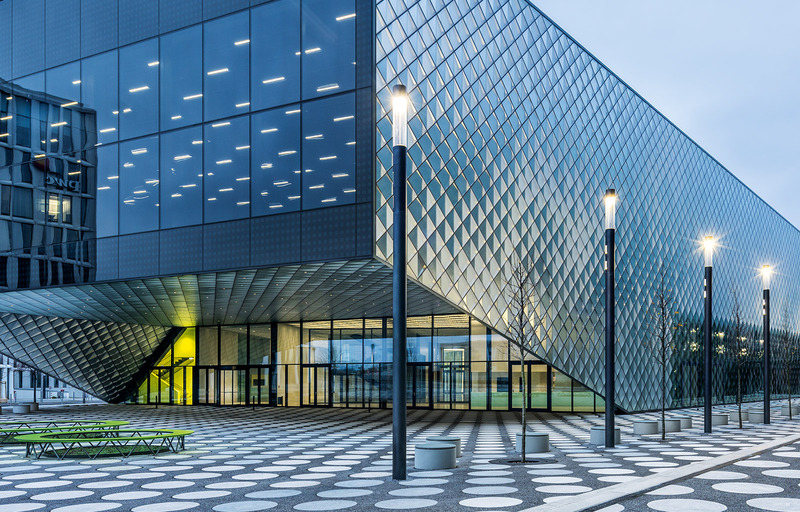 Lighting can be set like clouds passively hovering over the passers by, or become interactive with the help of sensors that detect movement on the floor.